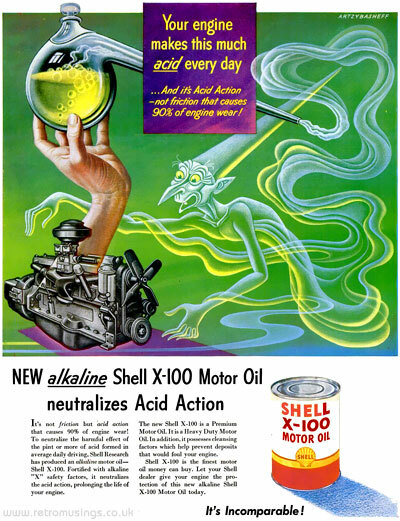 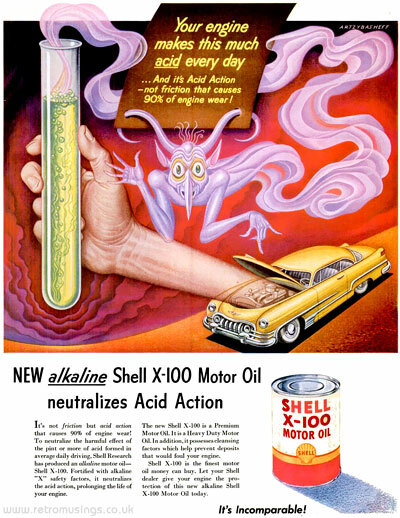 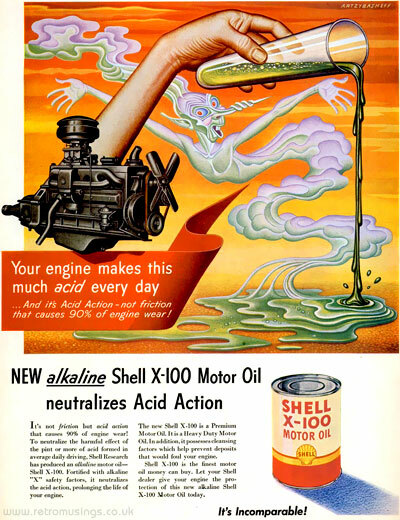 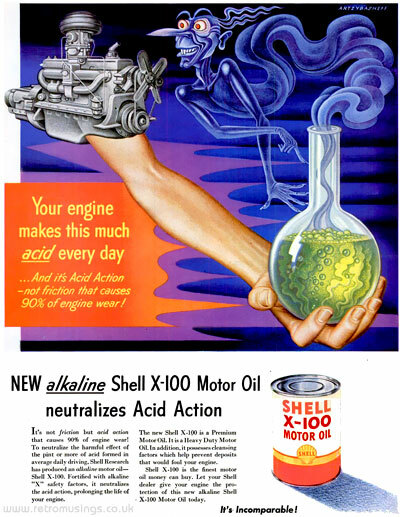 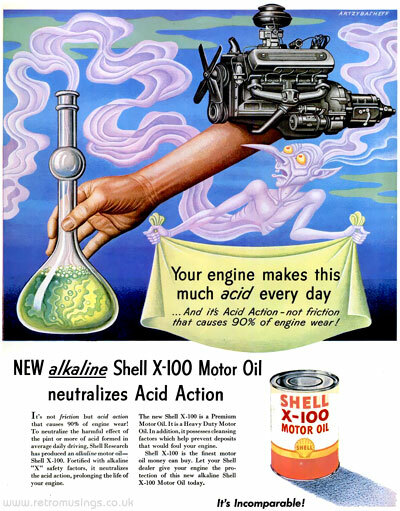 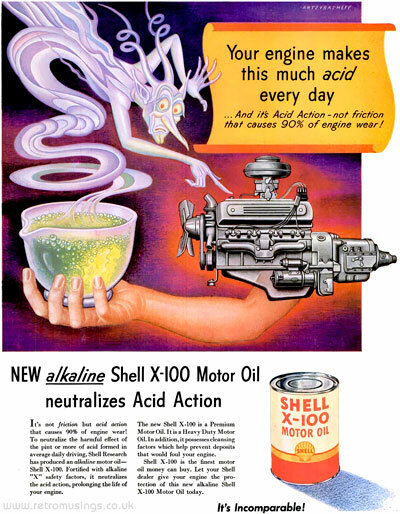 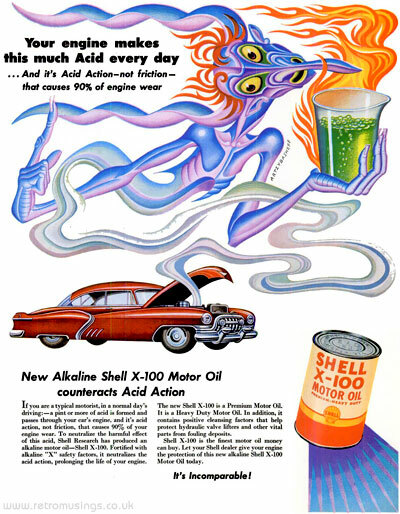 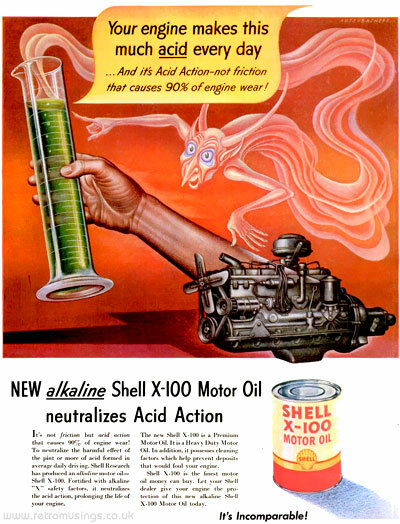 The eight ads published in 1951 had giant arms appearing out of car engines holding a beaker full of noxious acid. 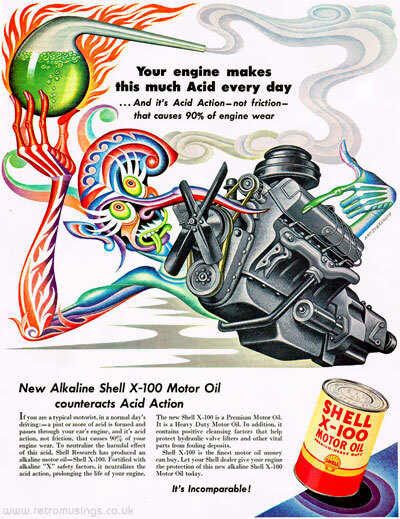 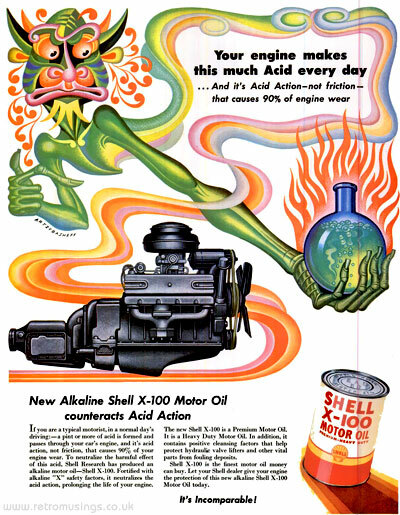 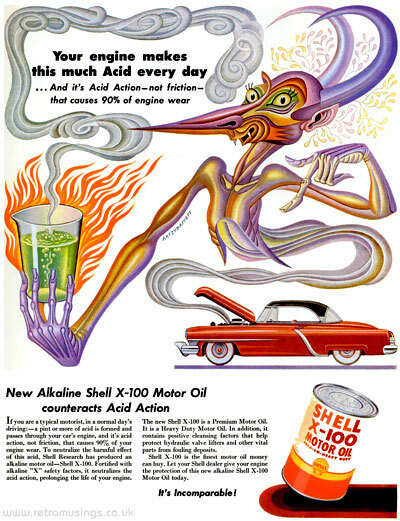 The fumes cleverly turned into a mischievous goblin-type character, although the text in the ads made no reference to it. 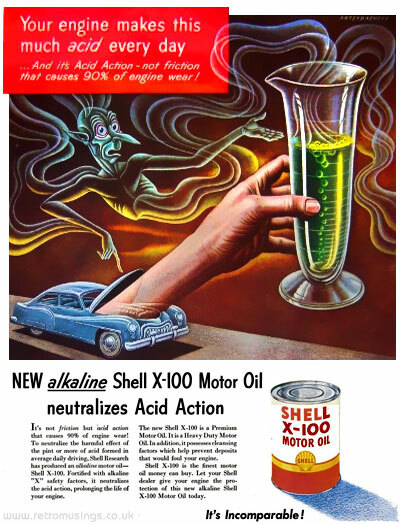 Five more ads were published in 1952, this time with plain white backgrounds and no giant arms. 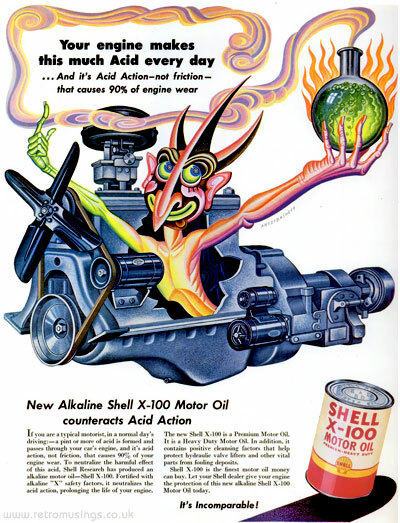 The goblin characters took the place of the arms and were far more colourful.